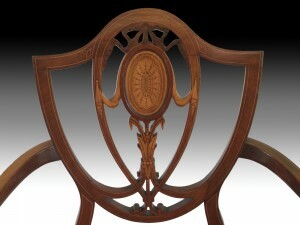 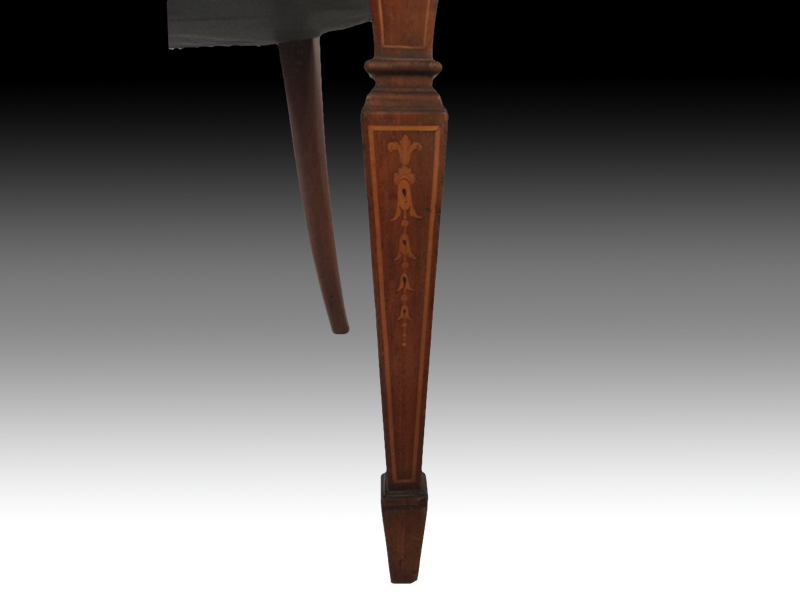 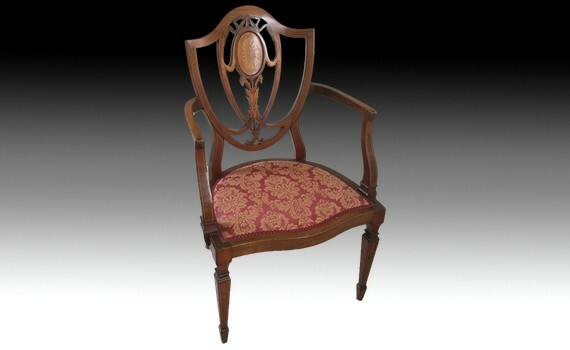 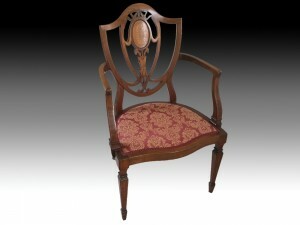 An Edwardian mahogany, marquetry and line inlaid arm chair. The shield shaped back with inlaid oval paterae to centre, above a serpentine fronted reupholstered seat, and standing on moulded square section front legs ending in spade feet. 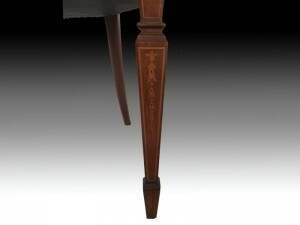 The front legs inlaid with garrya husks.